Turn a plain hollow core door into a trendy barn-style door using pine and supawood strips and some Pattex No More Nails adhesive. Attach a sliding mechanism and free up room in your living spaces. Paint the door in your choice of colour to match your home interior. You can buy a standard hollow core door at your local Builders at a cost of around R400. They will also be able to cut a sheet of 3mm masonite into strips for you. The strips are 10 x 77mm wide and 2100mm in length. You will need to cut the exact length to fit onto the door, as most doors need to be trimmed to fit. 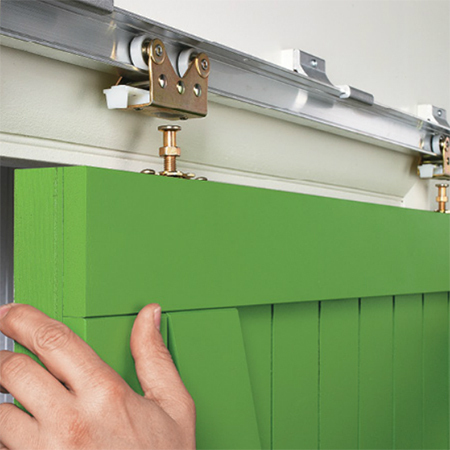 Cut the door down to the exact size beforehand so that you know the cutting length required for the strips. 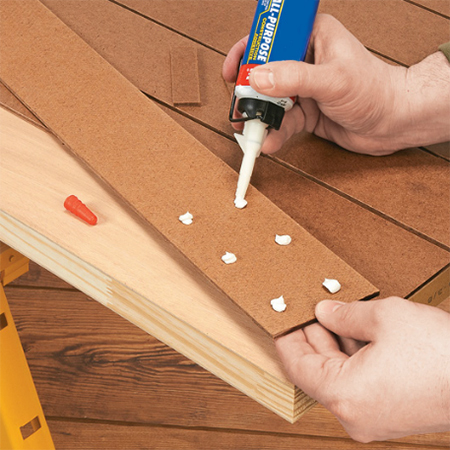 Apply Pattex No More Nails adhesive to secure the masonite panels onto the front of the door. 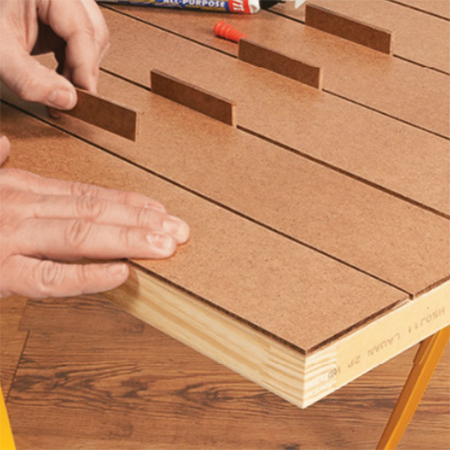 Use offcuts from the masonite as spacers between the panels. 19mm supawood (MDF) panels form the frame around the door. Order half a sheet at your local Builders and have this cut into 77mm wide lengths of 2100mm. The top and bottom frames will be 77 x 800mm (width of door), while the side frames will need to be cut to fit. 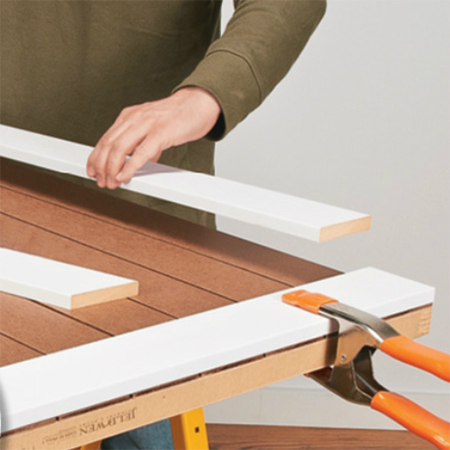 After gluing the outer frame in position, place the diagonal frame on top of the door and mark the cutting angle with a pencil line. Cut and secure with Pattex No More Nails adhesive. Use clamps to hold the panels in place overnight. Paint the finished door with Plascon waterbased Velvalgo in your choice of colour, or use Rust-Oleum 2X or Universal spray paint. Follow the manufacturers guidelines for installation of your specific door hardware.